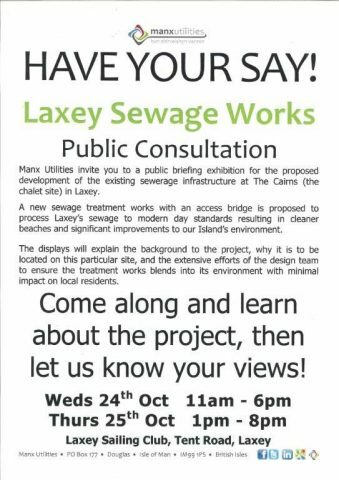 Manx Utilities are hosting a public briefing exhibition for the proposed development of the existing sewerage infrastructure at The Cairns site in Laxey. The exhibition is at the Laxey Sailing Club is open on Wednesday 24th October from 11.00 am until 6.00 pm, and on the Thursday from 1.00 pm until 8.00 pm. Engineers from Manx Utilities will be available to explain the proposals.